As you may have noticed, the PSP (Play Station Portable) does not require too many accessories or changes. Items such as colored cases, new games, a headset or even a cheap gaming router would suffice like the folks at ConnectionCafe agree . So in order to enhance your PSP gaming experience, you need to pick the best device for you. Three factors can weigh in your choice of PSP model. These are the overall form factors, what kind of usage it’s intended for and how much you’re actually willing to spend. Among these factors, the most important one would be the kind of usage it’s intended for. One thing that you should always consider when looking for a PSP is if the machine is going to be used for homebrew programming or solely for games and movies. The majority of buyers are not likely to run homebrew programming. Mainly due to the fact that it requires a lot more work compared to retail games (plus you need basic knowledge in programming). However, if you’re giving it to someone who enjoys homebrew, then be sure the grab the one for the job. It’s possible to run homebrew in PSP-3000 as well as PSP-2000. Although for the best possible experience then you might want to pick the PSP-1000; it’s the best choice of PSP and you’ve hit the jackpot when you stumble across one with the older firmware version 1.50 already installed. If you just want a PSP to play numerous retail games, movies and other PlayStation Network content, then the choice model for you would be the PSP-2000 or the PSP-3000; you won’t go wrong with any of these options. Between the aforementioned models, the main difference would be the size of the screen. The PSP-3000 offers a brighter screen, however a downside is that some users saw numerous scan lines when playing certain games. You could say the majority of users and players didn’t even notice these lines. If you’re picky about the graphics and whatnot then you should likely choose the PSP-2000. For those of you out there who are incredibly excited about downloading certain games and movies but don’t care about seeing a UMD movie or game then you should seriously consider the PSP Go. 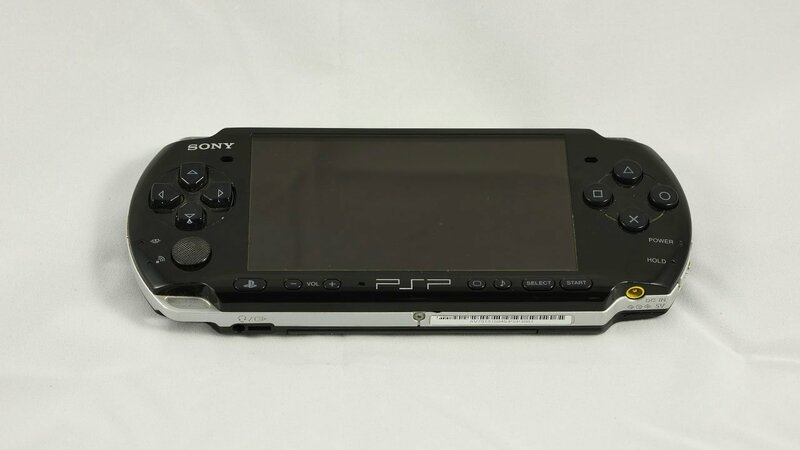 The size is considerably smaller compared to all previous PSP models; it’s actually designed to be carried in just about any normal sized pockets. There are a ton of fancy features on the PSP Go like the sliding screen. Features that you’re ultimately paying for, which is why it costs more. But aside from the higher price, one of the main drawbacks of this model is the overall lack of a UMD drive. In order to create a PSP that’s more compact than ever before and fit in a considerable amount of memory, something had to go. Therefor, the optical drive was removed. Most people would definitely go for the product that offers the highest value for money. This is what you’ll find in the form of the PSP-3000. It’s in no way portable, meaning it won’t fit your pocket like the PSP Go. The PSP-3000 doesn’t even have internal memory. However it makes up for this with the UMD drive. Plus, memory sticks don’t take up too much space in your bag. What good is an amazing PSP that suites all your requirements when it won’t last long? Well the best way to maintain it is not breaking the device; simple yet true. Other than not breaking it, avoid getting it wet and placing it under direct sunlight for long periods.